Statistics Canada reported that in 2014 an estimated 24,400 Canadian women will be diagnosed with breast cancer and 5,000 will die from it. In addition, 1 in 9 women is expected to develop breast cancer at some point during her lifetime (after age 20) and that 1 in 29 will die from it. Breast cancer is the most common cancer among Canadian women and while its cause is unknown, early detection is vital - followed by proper medical treatment. 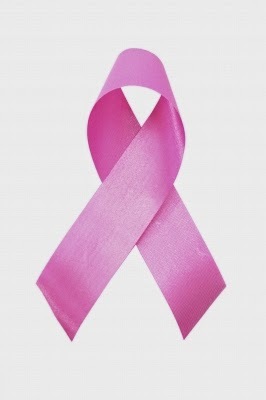 Massage therapy has been shown to offer a number of benefits for breast cancer patients. The therapists at Academy Massage are both skilled and qualified to perform procedures that have proven helpful. Immediate benefits include the reduction of stress and anxiety and in the long-term decrease depression and restore a sense of well-being. Therapeutic massage can also alleviate cancer pain and help boost the immune system. A proper breast massage has also proven effective in preventing the buildup of toxins in the lymphatic system and aids in relieving other potential post-surgery symptoms. Contact us today if you, or someone you care for, could benefit from this specialized form of massage. While we all look forward to enjoying the warmth of family and friends and the special magic of the Holiday Season, made traditional by the merriment of favorite Christmas carols sung around the open hearth and highlighted by sparkling decorative assortments which trim the tree, the flip side can be a little less festive. And that is the hustle and bustle and clutter and clamor of shopping in busy malls and department stores to find just that right present, navigating the congestion of consumers and standing in long checkout lines - and still not knowing whether you got it right. Add to this an often last-minute effort that can leave us stressed and overwhelmed and feeling plain exhausted, and by day's end might even succeed in taking away the joy of the season. In short, there has to be a better solution. And the good news is - there is! Why not simplify your gift buying and purchase a Yuletide alternative that not only guarantees to alleviate stress for the frustrated shopper but also for that special someone - or that person who is just hard to buy for. Academy Massage gift cards are a way of showing that you truly care. Family and friends are sure to appreciate the gesture, as they can benefit from the pain relief, stress reduction, or just plain relaxation that massage therapy can provide. Be it as a gift or even a stocking stuffer, gift cards from Academy Massage are the perfect choice. Our gift cards are available for a variety of our unique services and products. Besides being redeemable for therapeutic massage or reflexology treatments performed by our trained and licensed staff, Academy Massage gift cards can also be used to purchase a wide array of products intended to help you just to unwind or to relieve the pain and discomfort of strained or sore muscles and/or joints. These carefully selected products include oils, lotions and our premium grade Min Makura buckwheat pillow. As well, we offer specialty products such as our roller massage, hot/cold pads, vapor water bottles, Aromatherapy scent inhaler, Neti Pots, TENS machines, among other quality items intended to enhance health and benefit your overall physical and emotional well-being. These are items that are listed and can be checked out on our website. Academy Massage gift cards are affordable and can be purchased in either in $50 or $100 amounts to fit your budget. For your convenience gift cards can also be ordered and sent by mail. We accept all major credit cards. But Academy Massage reminds you that gift cards are not just reserved for Christmas. They are available all year round: for birthdays, anniversaries, retirements, and other special occasions. So when trying to ease the stress and expense of holiday shopping, remember that gift cards from Academy Massage won't put a damper on your holiday hamper. 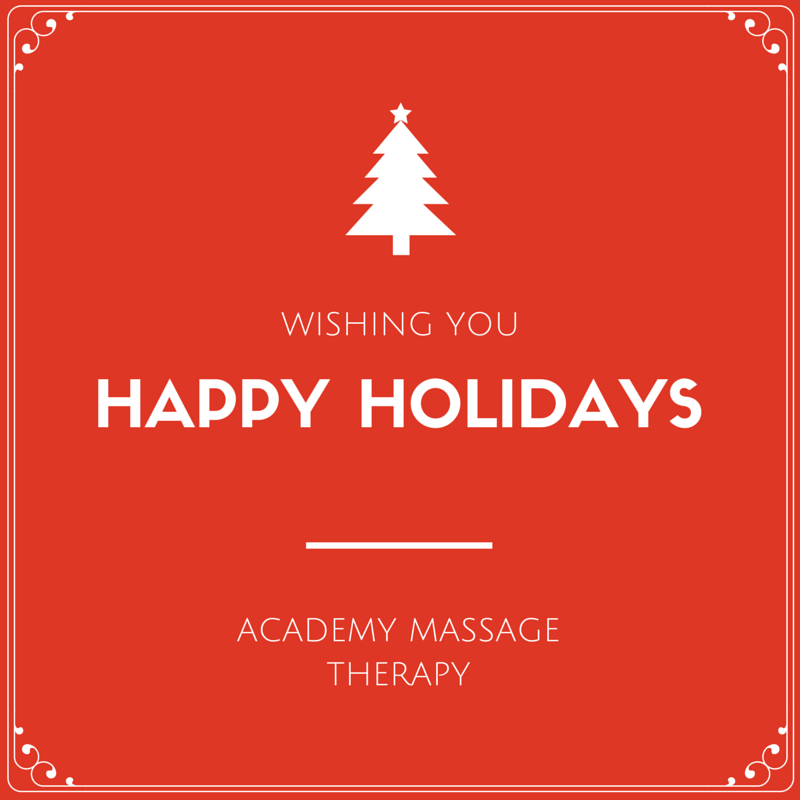 A Very Merry Christmas and Happy, Healthy New Year from the staff at Academy Massage.